Want to save time? Skip ahead to the top GPS tracking app. If travel or transit is part of your business, you’ve likely considered tracking employee location as they move from client site to client site. Whether you run a construction business, landscaping or cleaning company, a delivery service, or any other business with field staff, you need to know where your people are so you can properly dispatch team members and get work done. You can do all of that with a field employee tracking app. However, it’s not always easy. If you’re trying to keep track of everyone with sub-par tools, it can be a real nightmare. In 2019, there’s no need for manual time or location tracking. Especially when you have these seven apps to help. 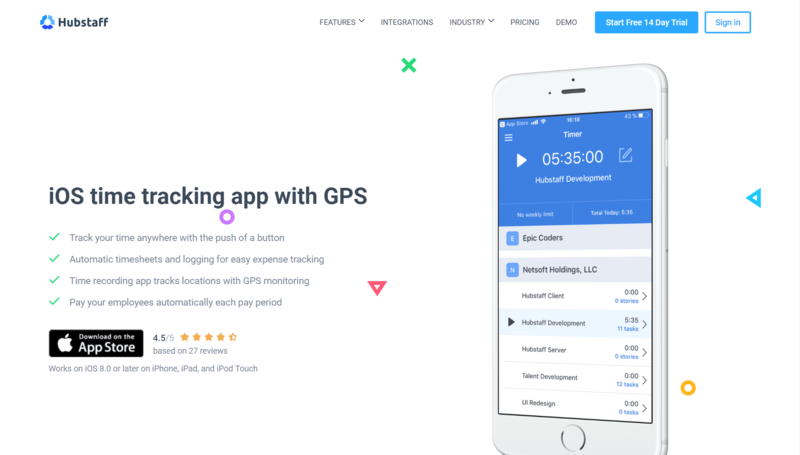 Read on to find out how you can use these employee GPS tracking apps with helpful features like geofencing to help you manage your crew and run your business more smoothly. Hubstaff’s time tracking app offers accurate GPS location services for organizations of all sizes. It goes beyond simple monitoring to provide a powerful management tool for mobile fleets, sales teams, and remote companies. Automatic reporting, payroll integrations, and productivity monitoring make it an all-in-one business tool. Once you start collecting time and location with Hubstaff, you’ll be able to better forecast and staff your business. The free iOS and Android apps allow you to see time spent in transit vs. time spent at a job or client site, giving you a clear picture of how your team works. Plus, the easy start and stop buttons make clocking in simple, while giving your team peace of mind that data is only recorded while the timer is running. To make things even easier, you can add job sites in Hubstaff where time tracking will automatically start and stop as a team member enters or leaves the location. This geofencing feature makes work tracking even easier on your team, as they don’t have to remember to stop the clock as they head home for the day. If you’d prefer to send reminders instead of automatically starting the timer, you can customize settings for each person on your team. By scheduling shifts, you’ll get alerts if time tracking doesn’t start at that time — another way to stay in the loop without having to stop what you’re working on. Hubstaff integrates with 30+ other business software, including QuickBooks, Salesforce, TransferWise, and more. Save time, track better, and run your business from any device with Hubstaff’s employee location tracking system. This app can track employee work time and locations from anywhere. Real-time syncing with the employer portal means you can always get an idea of where your employees are at any particular moment. Punching in and out with a quick tap adds convenience for workers. The punch prompt makes sure they clock in and out when arriving at or departing from a work site. It even captures mileage for expense reports. Price: $3.49 per employee for unlimited punches + $14.99 company subscription. Labor Sync is a multilingual cloud-based app that allows you to track your workforce from anywhere. You can see which job sites your crew is at, where they are when they clock in and out, and an interactive map to monitor their workday. This field staff tracking app eliminates the need for paper timesheets with automatic reports that can be customized and filtered by employee, job and timeframe. You can see exactly how much time is being spent on a particular project. With batch entries, not all of your employees need a smartphone. Multiple employees can be tracked using one device. It even has a messaging feature where employees can be notified of meetings or schedule changes. Labor Sync meets U.S. federal and state requirements for time tracking, including Department of Defense standards. HoursTracker is a location tracking app that offers easy entry and editing to make time tracking painless. 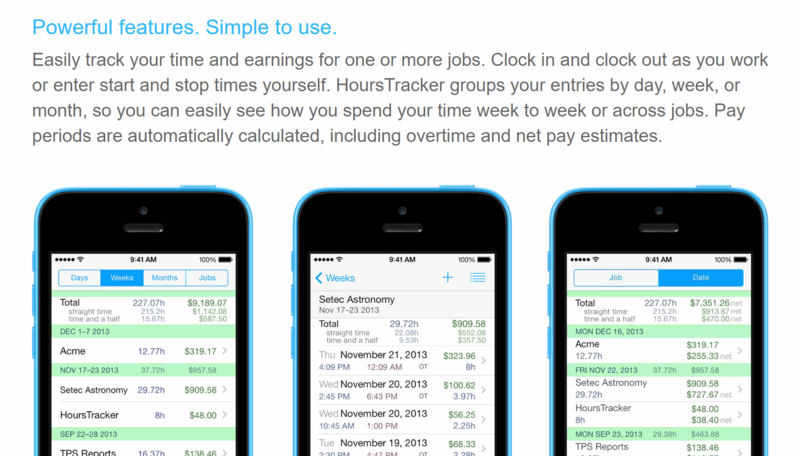 Hours Tracker has automatic overtime, location awareness, tags, filters, and expected time reached alerts. You can choose to receive notifications when someone arrives or leaves the area. You can view your jobs by distance to save time. HoursTracker can also alert users when it’s time to leave. Set an expected number of hours per day and the app will alert you as you approach those hours. A notification 15 minutes prior helps you get to a stopping point. Looking for the flexibility of mobile time tracking with the accountability of your in-office employees? 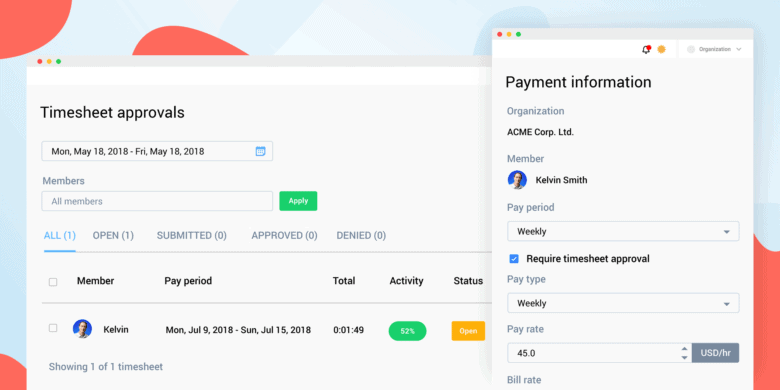 TSheets offers an intuitive experience when clocking in and out, changing job codes, and performing other time tracking and management actions on-the-go. Its background synchronization technology and enhanced GPS functionality are optimized so that TSheets won’t drain your battery. Plus, the app continuously syncs so you never have to worry about losing data if your connection cuts out. TSheets can also generate a convenient map of activities for the day to provide a visualization of where a user has been. Timr tracks your working time and project time on-the-go. Your remote workers can begin tracking their time even when on the move by simply pushing a button. While Timr’s web application focuses on time tracking, their mobile apps can handle GPS tracking, as well. The web and mobile apps continuously sync automatically so users always work with the same data. Compared to other apps listed here, Timr is more lightweight and lacks some of the business-focused features. Gleeo provides efficient time tracking with location monitoring services. The user interface is optimized for devices with touchscreens, so users can jump from one page to another easily. It makes time tracking easy and simplifies reports, which are so easy to access and review that you can check them out even when you’re on the move. You can export reports via email or Bluetooth. 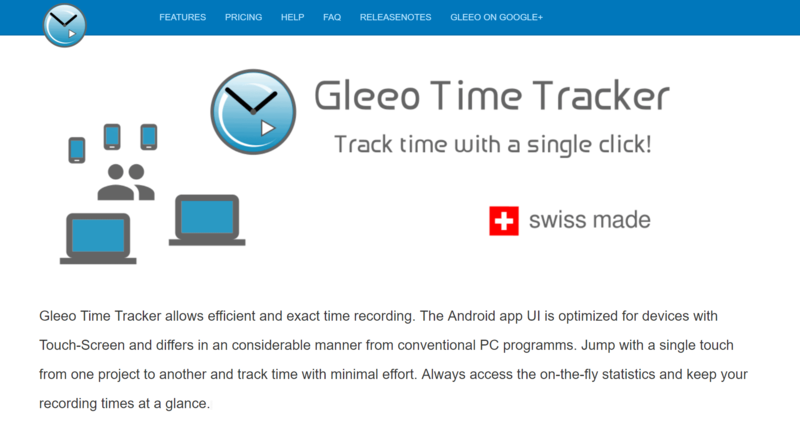 Gleeo allows unlimited projects and tasks per projects, along with an animated timeline that shows what a user is doing. It provides different colors and light themes to choose from. This allows you to see the app well in any lighting. Gleeo also offers an app called Automagic, which allows users to automate location-based and time-based recording, as well as send out reminders.